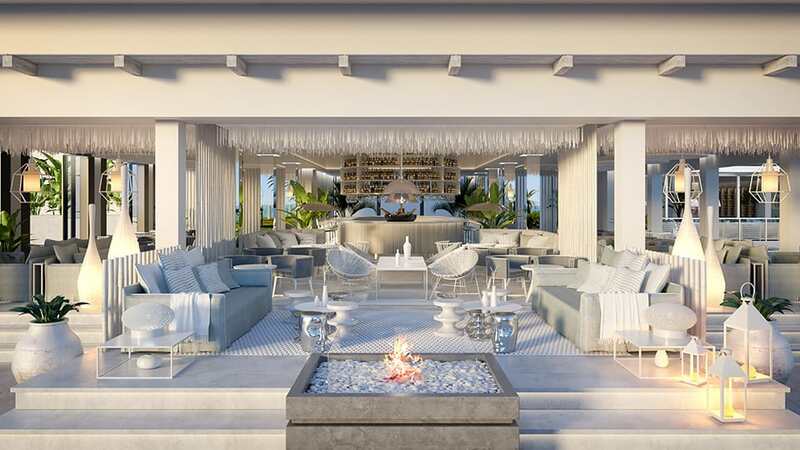 Design Holidays are delighted to launch the latest fabulous Ikos 5 star All Inclusive resort along from the Marbella / Costa del Sol coastline of Southern Spain – Ikos Andalusia. 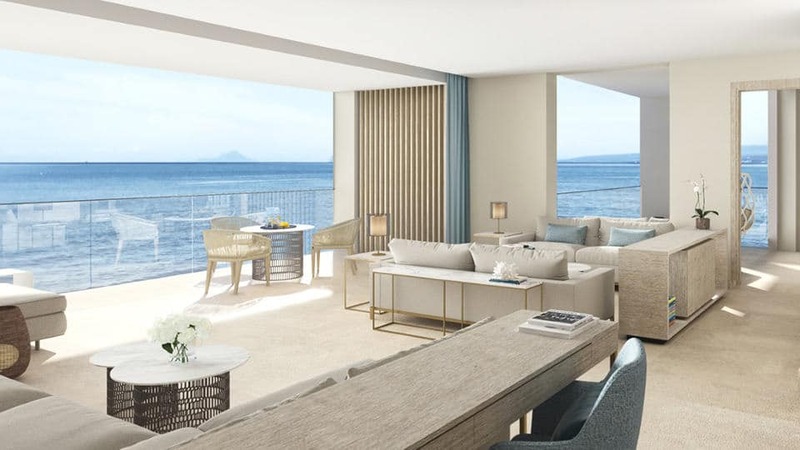 Soak up the carefree ambience and ultra-cool Mediterranean style of Ikos Andalusia, on Spain’s sun-drenched Costa Del Sol, with stunning views of Gibraltar and close to the cosmopolitan centres of Marbella and historic town of Estepona. 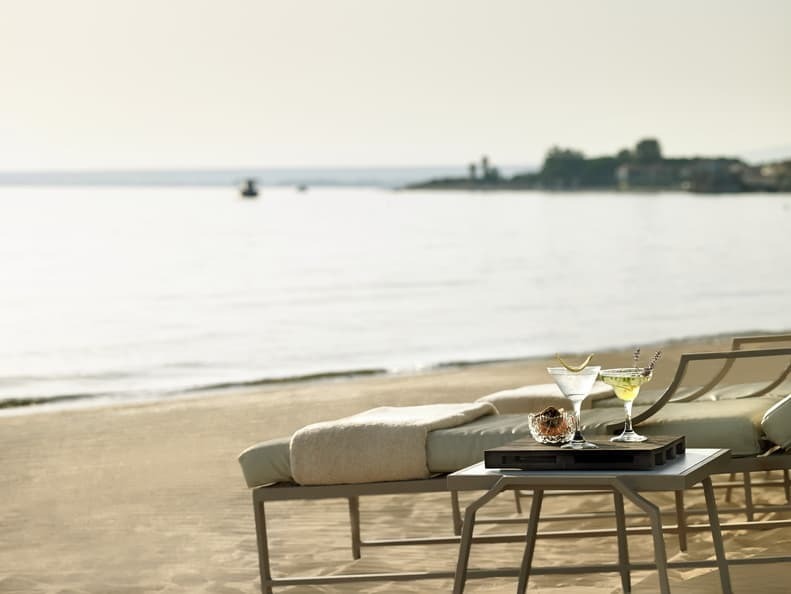 What we say : ‘Ikos Andalusia brings a fabulous contrast of beach holiday meets culture, meets cosmopolitan chic. 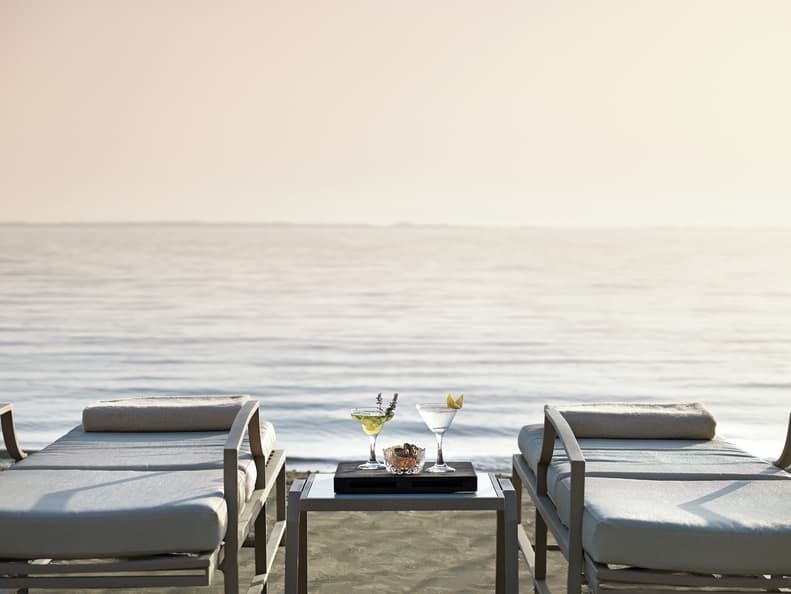 In true 5 star tradition Ikos offer their truly luxurious brand of all-inclusive and fabulous facilities to this magical Spanish coastline – ideal for a family holiday or romantic break. Top tip : If you do go for the latter be prepared to book the deluxe area’. All meals from breakfast, lunch , snacks to dinner and all drinks day and night and the finest selection of 7 a la carte or buffet restaurants with fine dining (adult or family areas). Non motorised watersports , bicycles, tennis, children’s club, evening entertainment & much more. 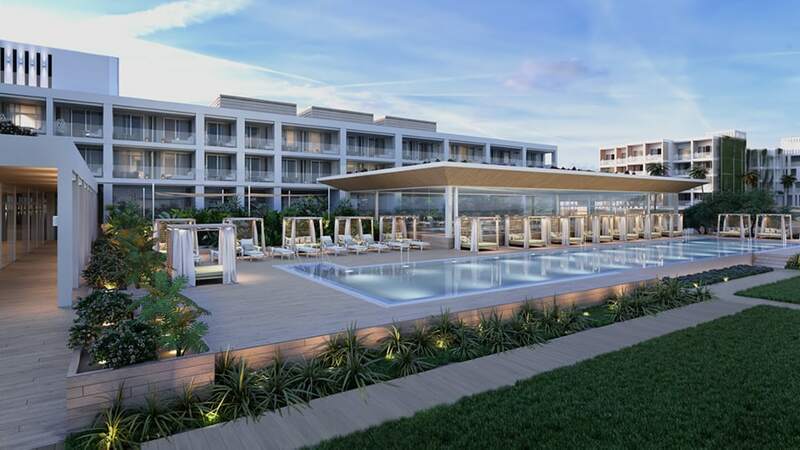 Enjoy the superb choice of indoor and outdoor swimming pools or soak up the sun on the exclusive Ikos Andalusia beach area, enjoying the sounds of the gentle lapping of the Med. 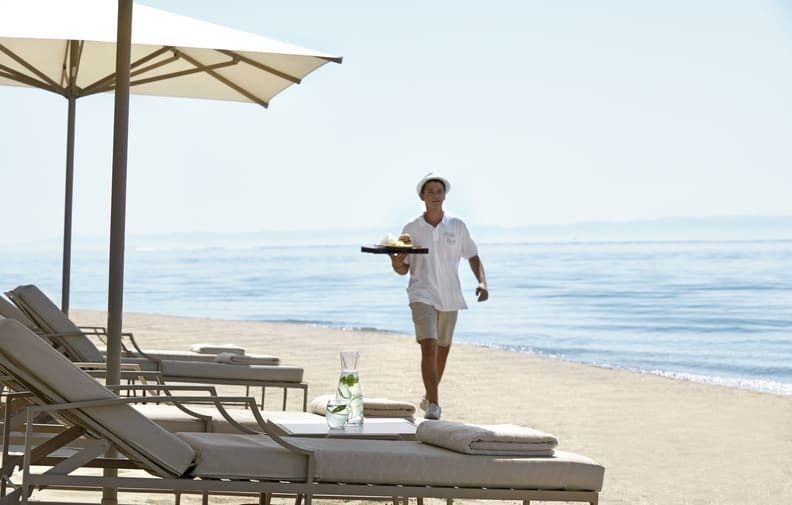 The superb Ikos staff meet your needs with refreshing drinks and tempting snacks, while the ever popular beach childcare service is also included at no extra cost. With more than 400 fabulous rooms and suites to choose from with a range of private balconies, gardens access…..some even have their own private pool. 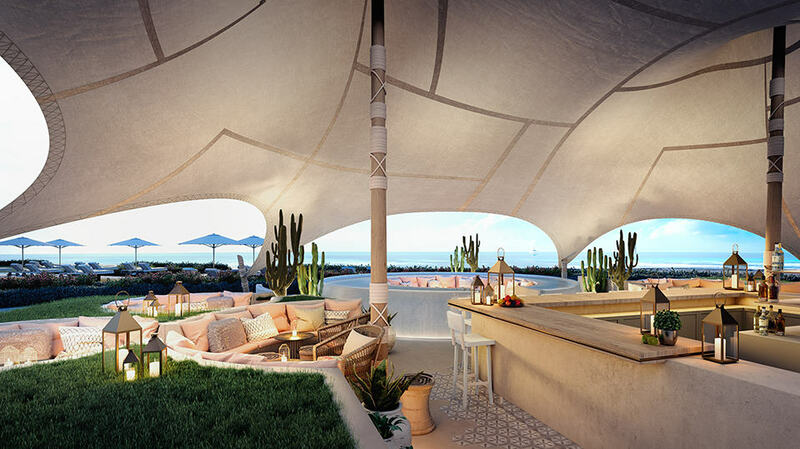 *Deluxe Suites or Junior Suites with private gardens or panoramic views can be booked with a supplement. 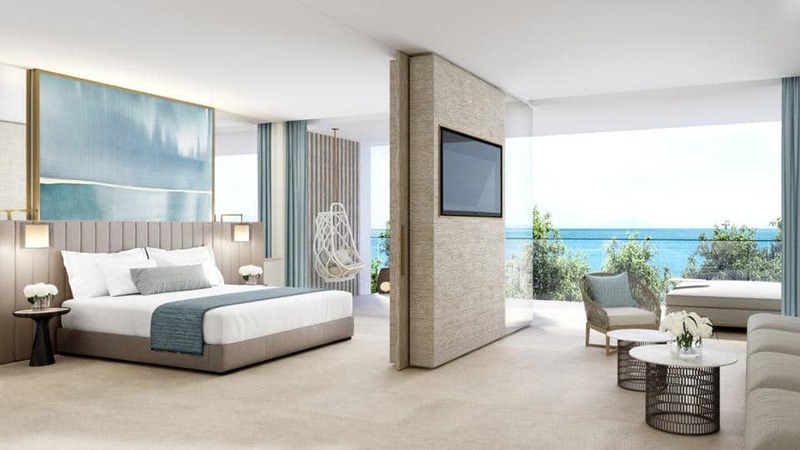 *Deluxe 1 bedroom suites or 1 bedroom Suites with private gardens or sea views / private pools can be booked with a supplement. *Deluxe 2bedroom suites or 2bedroom Suites with private pools can be booked with a supplement. Enjoy 7 restaurants from Michelin star chefs. *Guests are encouraged to dine out locally 1 night which Ikos Andalusia will organise and pay for accordingly. 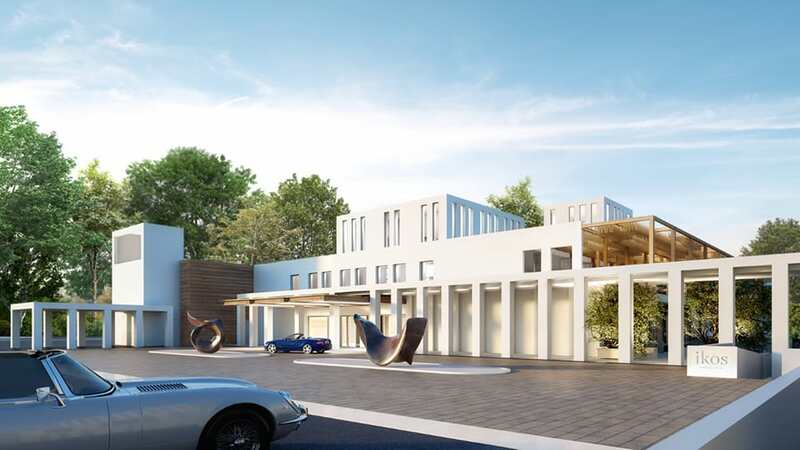 Ikos Andalusia Spa facilities include an indoor/outdoor heated pool with jacuzzi, thermal suite fitness studio with a fabulous spa team offering a wide variety of spa treatments. Ikos Andalusia offers live music and theatre to movies and exclusive parties, enjoy fabulous live music most nights covering everything from laid back jazz to modern tunes. Musicals, children’s shows and movies. 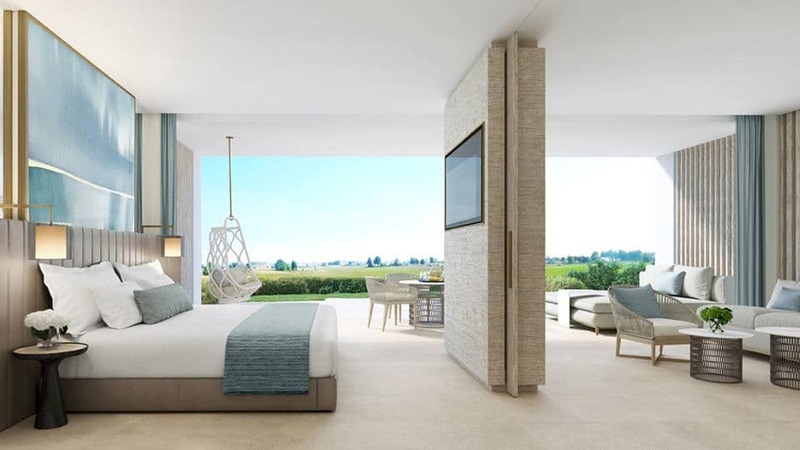 Ikos Andalusia is located on Spain’s Costa del Sol on the Southern Mediterannean cost less than 1 hour from Malaga airport, 25 mins from Marbella and 10 mins from Estepona.